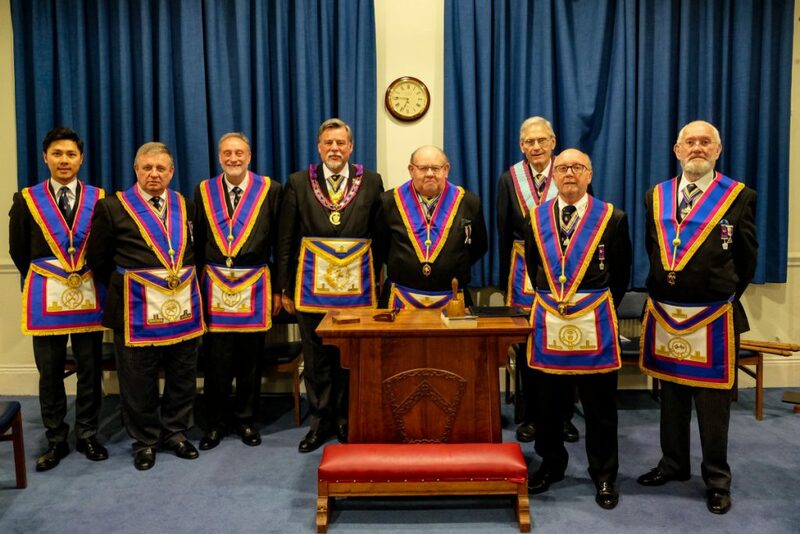 Our APGM W.Bro Cliff Sturt, and a delegation of Provincial Officers, made a visit to Ethical Lodge 458 on Friday 26th October 2018. 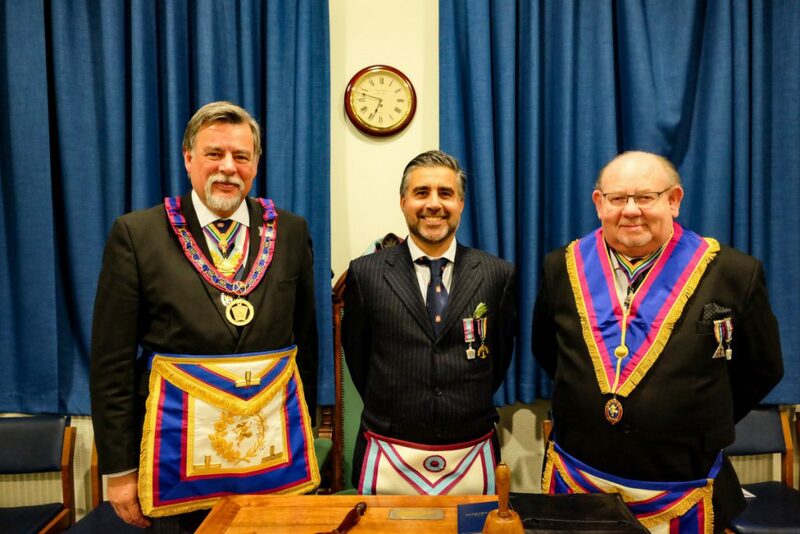 The Lodge gave everyone a fantastic welcome, and treated those present to a brief history of the Lodge. 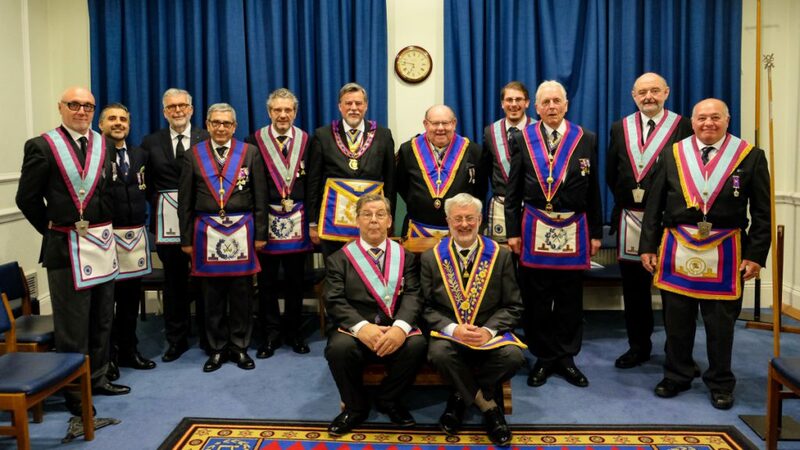 A reading was made of the minutes of the consecration meeting held on the 3rd March 1893, over 125 years ago, and a Founders Jewel for the Lodge from the meeting was circulated for those present to view. 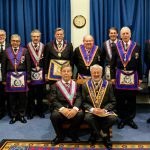 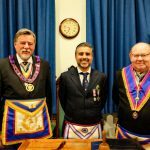 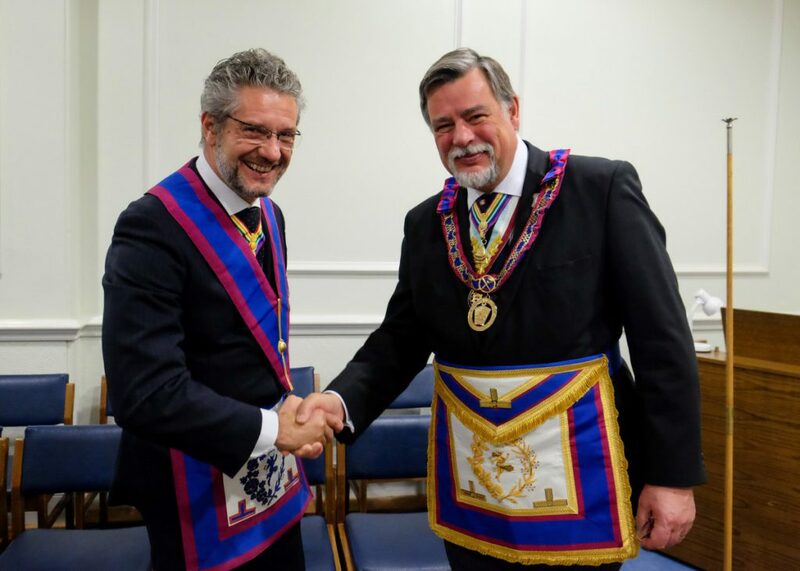 Many of the members of Ethical Lodge are active in the Mark Degree in Italy, and one of the members has recently been appointed to high rank in that country. 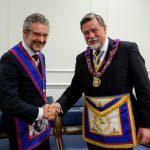 Two new members joined at the meeting, and the delegation left in no doubt that Ethical Lodge has had a fascinating past, is enjoying a healthy present, and is set up for an exciting future.